Objective: The aim of this study was to determine the self-reported oral health status and needs and the patterns of use of dental services by a sample of pregnant women from diverse ethnic backgrounds in the city of Surrey, British Columbia, Canada. Method: A 34-item cross-sectional survey was administered to women enrolling in a prenatal program for 4 months in 2012/13. For data analysis, we used a 2-sample t test and tested categorical variables using a χ2 test. We used multivariable logistic regression analysis to estimate the odds ratio for the variables, self-reported oral health status and use of dental services. Results: Of the 740 pregnant women who participated in this survey (87% of registrants), 30% were considered vulnerable because of inability to live within their household income, smoking status, self-reported depression, lack of dental insurance and time since last dental visit. Most respondents (84%) rated their oral health good or excellent. Almost half of the women had not visited a dental professional during the past year, while 23% saw a dental professional only for emergency purposes. Women with dental insurance were 6.6 times more likely to have visited a dental professional than those without insurance. Conclusion: Although most pregnant women considered dental care during pregnancy to be important, almost half had not visited a dental professional during the pregnancy. In 2014, there were 386 000 pregnancies in Canada, 43 700 of them in British Columbia.5 Yet,there are no baseline data describing the oral health status of Canadian pregnant women in general or of British Columbians in particular. Determining the oral health status and needs and the use of dental services by pregnant women, especially those who are vulnerable during pregnancy, may help inform future interventions for this patient group.3 Therefore, the aim of this study was to explore those issues in a sample of pregnant women living in British Columbia. Fraser Health is one of 6 health authorities in British Columbia serving more than 1.6 million people, including a large population of Indo-Canadians, Korean-Canadians and Filipino-Canadians. Current oral health promotion initiatives include fluoride varnish application for children up to the age of 4 years, oral health education in elementary schools, preschool dental resource kits for children at age 3, and oral health care programs tailored for adults with developmental disabilities. We collaborated with the prenatal program called Best Beginnings, which is similar to programs offered by other provincial health authorities in British Columbia to support pregnant women and their newborns. Study participants were pregnant women from the family planning and birth unit at Surrey Memorial Hospital (SMH), the largest hospital in the Fraser Health Authority area. SMH is enrolled in the Best Beginnings program, which is designed to provide public health services to pregnant women, new mothers, babies, children to age 2 years and their families. 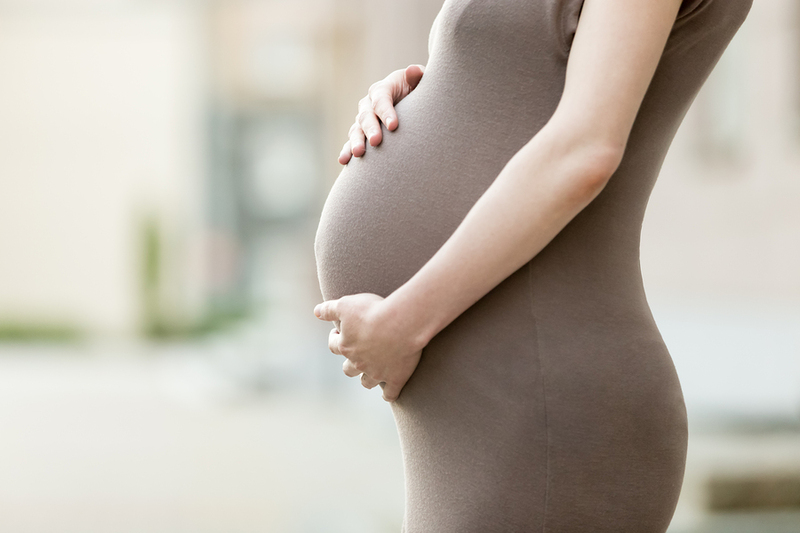 SMH sees more than 5000 pregnancies a year, and the diversity and size of the target population offered us the opportunity to carry out data collection. Seven dental questions from the Canadian Health Measures Survey (CHMS) were adapted for this study. After pilot testing the adapted questions, data were collected using the Best Beginnings form (Appendix 1) and an attached list of 7 dental-focused questions (Appendix 2). These forms were distributed to all women attending prenatal registration at SMH from October 2012 to February 2013. Those who agreed to participate in the study were advised to detach a cover page as the consent form for their records while filling out the Best Beginnings form and the dental survey. The Best Beginnings forms were kept in the reception area where a public health nurse collected them twice a week. An identification code was assigned to match the dental survey questions with the Best Beginnings form while de-identifying the forms by blacking out all personal information, such as name, address, postal code, care card number, date of birth, telephone number and other contact information. All forms were photocopied before the public health nurse picked them up. All data were numerically coded and entered into a password-protected spreadsheet for statistical analysis. The 740 respondents provided enough statistical power to tease out the potential relationships and correlations between the different variables presented below. Andersen and Newman's6 framework of health service utilization was used to inform the selection of outcome and independent variables.Self-reported oral health and use of dental services during pregnancy were the outcome variables; predisposing, enabling and need factors were independent variables. However, the focus of this paper is on predisposing and enabling factors only. The framework helped to determine the sociodemographic variables that would likely make these women vulnerable to inadequate oral health care during pregnancy. Vulnerability was assessed from the self-reported answers on the Best Beginnings form, grouped according to the Andersen and Newman model to identify the personal and societal factors that could affect the overall health of the pregnant women and their newborns, including difficulties with living and transportation, immigration status, smoking status, inadequate income and depression. Having 1 or more of these factors was an indicator of vulnerability. Continuous variables were compared by using two sample t tests, while categorical variables were tested using Fisher's exact test and the χ2 test of association. Multivariable logistic regression was used to estimate the odds ratio and 95% confidence interval (CI) for self-reported oral health and use of dental services. A receiver operating characteristic analysis was conducted to determine which of either the predisposing or enabling factors was most associated with dental service use. Results were considered significant for p < 0.05. Data analysis was carried out using SPSS software, v. 22 (SPSS, Inc., Chicago, Ill.). This study was approved by the Research Ethics Boards of both the Fraser Health Authority and the University of British Columbia. The study reached 835 registrants over the 4-month period. Of these, 740 (87%) responded fully to the survey. Given that the prenatal registration program is also voluntary, the actual number of pregnant women seen at SMH during this period was probably larger. Participants included a high proportion of high school graduates (85.2%) who were able to live within their income (85.8%) (Table 1). Few reported recent depression (9.3%) or lack of a social network, i.e., "someone to talk with" (8.1%). Although some of the pregnant women (5.6%) identified themselves as smokers, almost one-quarter (22.7%) were exposed to secondhand smoke. Table 1 Characteristics of study participants (n = 740). *Totals may not equal 100% because of rounding error. † Women reported needing assistance with childcare, housing and transportation. ‡ Women reported having difficulty living within their household income. Surrey has a large immigrant population, with almost 75% born in Asia.7 Of the women who participated in the survey, almost two-thirds were immigrants (Table 1), with the largest proportion born in India (50%). In all, 18 birth countries were identified. Few women identified as a refugee (5.5%) or of aboriginal heritage (5.5%). When asked to describe their oral health, most respondents reported it as excellent or good, while 16.7% rated it as fair (14%) or poor (3%) (Table 2). Almost 50% had seen a dental professional in the last year and 23% reported they visited a dental professional for emergency purposes only. Nine percent of the respondents had never visited a dental professional; of these, almost two-thirds came from India (data not shown). Women who visited a dental professional within the last 2 years were more likely to rate their oral health as excellent or good (89%) than women who hadn't consulted a dental professional in more than 2 years (72%) (p < 0.001) (data not shown). Tables 2–4 show the relation of predisposing and enabling factors to self-reported oral health and dental service use, respectively. Of all the predisposing factors, only decreasing exposure to secondhand smoke was associated with better self-reported oral health (Table 2). Women exposed to secondhand smoke on a daily or weekly basis were at least 60% less likely to report their oral health as excellent or good. For enabling factors, financial issues were the dominant limiting factor; lack of dental insurance, type of dental insurance and difficulty living within their income were all associated with fair or poor self-reported oral health (Table 3). Women with dental insurance were 3 times more likely to report their oral health as excellent or good. However, women on government programs or First Nations/Inuit insurance programs were up to 90% less likely to report good oral health. Women who used dental care more recently rated their oral health higher than women who had not seen a dental professional in more than 2 years (Table 3). Table 2 Self-reported oral health status of pregnant women in the city of Surrey, British Columbia, by various predisposing characteristics. * Odds of reporting excellent or good oral health versus reference category. Table 3 Self-reported oral health status of pregnant women in the city of Surrey, British Columbia, by various enabling characteristics. †Odds of reporting excellent or good oral health versus reference category. CI = confidence interval. πWomen reported having difficulty living within their household income. Lack of financial means also appeared to limit dental visits (Table 4). Women who reported difficulty living on their income and/or who had no dental insurance reported a greater elapsed time since their last dental visit. Almost 46% of the women had visited a dental professional within the last year for regular care (data not shown). Multiple logistic regression analysis was used to evaluate the effect of the psychosocial variables mentioned by Anderson and Newman6 on self-reported level of oral health and use of dental services (Table 5). All variables that were significant in univariate analysis were included in the multivariate model. The presence of dental insurance significantly predicted both better self-reported oral health (p < 0.001) and receiving dental care within the previous 2 years (p < 0.001). To determine which predisposing or enabling factors were most associated with dental service use, a receiver operating characteristic curve was plotted (Fig. 1). The area under the curve is greater for enabling factors (72.5%) versus predisposing factors (63.6%) and perceived need of care (69.9%). Table 4 Use of dental services by pregnant women in the city of Surrey, British Columbia, by various predisposing characteristics. * Totals may not equal 100% because of rounding error. Table 5 Multiple logistic regression analysis of psychosocial variables* on self-reported level of oral health and use of dental services by pregnant women in the city of Surrey, British Columbia. This study examined self-reported oral health and dental service use among a diverse population of pregnant women from the city of Surrey, in British Columbia. The results suggest that pregnant women do not differ, with some exceptions, from the general Canadian population as reported in the oral health component of the CHMS.8 The self-reported oral health of the women in our study was similar to that reported in the CHMS study (excellent/good 83% v. 84%, respectively). Fewer pregnant women had dental insurance than those in the CHMS population (53% v. 62%) and only slightly more pregnant women in our study reported avoiding dental treatment because of cost (19% v. 16%).8 The disparity between those avoiding dental treatment may be a result of this population having more financial barriers than other Canadians as a result of a lower socioeconomic status in the area reached by Fraser Health. Because the information in the dental survey was self-reported, we do not know how respondents interpreted the questions. Because of the limited number of questions, we were not able to find out why some women had not visited a dental professional within the last year. We do not know if they avoided the dental visit because of anxiety or cultural or ethnic beliefs, which may have influenced their use of dental services. Although most women reported having completed high school, we were unsure whether spouses, family members or accompanying persons had translated the questions for respondents. The focus on 1 specific jurisdiction in British Columbia that has a particular ethnocultural composition may prevent full generalization of our findings. Despite these limitations, this study provides comprehensive self-reported data on the overall oral health of pregnant women at the sub-population level of a diverse ethnic community within the Fraser Health Authority. However, more work is needed to substantiate our self-reported findings with clinical examinations and further explore the roots of the most commonly held dental beliefs during pregnancy. Dr. Jessani is PhD candidate and graduate periodontics resident, faculty of dentistry, University of British Columbia, Vancouver, British Columbia. Dr. Laronde is associate professor, faculty of dentistry, University of British Columbia, Vancouver, British Columbia. Dr. Mathu-Muju is assistant professor, faculty of dentistry, University of British Columbia, Vancouver, British Columbia. Acknowledgements: We thank all the participants and the entire team and staff at Surrey Memorial Hospital – Family Planning and Birthing Unit. A special acknowledgment to Dr. Victoria Lee, chief medical health officer and VP population health at Fraser Health Authority, for her insights during the study and to Drs. Heather Bush and Li Hsin-Fang (Grace) for their statistical analysis for the earlier version of this work. This paper originated as part of the requirements for AJ's master of sciences degree in craniofacial sciences, which were successfully completed in February 2014. The initial data from this work were presented at the annual conference of the Canadian Association of Public Health Dentistry, September 2013, Toronto, Canada. The authors are also grateful for the editorial work provided by Samantha Song and Adrian Carney. Lydon-Rochelle MT, Krakowiak P, Hujoel PP, Peters RM. Dental care use and self-reported dental problems in relation to pregnancy. Am J Public Health. 2004;94(5):765-71. Laine MA. Effect of pregnancy on periodontal and dental health. Acta Odontol Scand. 2002;60(5):257-64. Chung LH, Gregorich SE, Armitage GC, Gonzalez-Vargas J, Adams SH. Sociodemographic disparities and behavioral factors in clinical oral health status during pregnancy. Community Dent Oral Epidemiol. 2014 Apr;42(2):151-9. Elani HW, Harper S, Allison PJ, Bedos C, Kaufman JS. Socio-economic inequalities and oral health in Canada and the United States. J Dent Res. 2012;91(9):865-70. Manau C, Echeverria A, Agueda A, Guerrero A, Echeverria JJ. Periodontal disease definition may determine the association between periodontitis and pregnancy outcomes. J Clin Periodontol. 2008;35(5):385-97. Gaffield ML, Gilbert BJ, Malvitz DM, Romaguera R. Oral health during pregnancy: an analysis of information collected by the pregnancy risk assessment monitoring system. J Am Dent Assoc.2001;132(7):1009-16. Rogers SN. Dental attendance in a sample of pregnant women in Birmingham, UK. Community Dent Health. 1991;8(4):361-8. Bates SB, Riedy CA. Changing knowledge and beliefs through an oral health pregnancy message. J Public Health Dent. 2012;72(2):104-11. Dinas K, Achyropoulos V, Hatzipantelis E, Mavromatidis G, Zepiridis L, Theodoridis T, et al. Pregnancy and oral health: utilisation of dental services during pregnancy in northern Greece. Acta Obstet Gynecol Scand. 2007;86(8):938-44. Lin DL, Harrison R, Aleksejuniene J. Can a prenatal dental public health program make a difference? J Can Dent Assoc. 2011;77:b32. Schwarz E. Access to oral health care — an Australian perspective. Community Dent Oral Epidemiol. 2006;34(3):225-31. Appendix 1 Dental questionnaire that was attached to the Best Beginnings prenatal registration form 2012, Fraser Health Authority. Appendix 2 Best Beginnings prenatal registration form 2012, Fraser Health Authority.